Commissioner Jai Templeton (seated right) represents the Tennessee Department of Agriculture. Phyllis Ferguson, FACCT President (seated left), Lou Nave FACCT Executive Director and Keith Harrison, FACCT Vice-President represent FACCT. The Farm Animal Care Coalition of Tennessee (FACCT) and the Tennessee Department of Agriculture work together to promote livestock welfare and coordinate disaster response when needed. 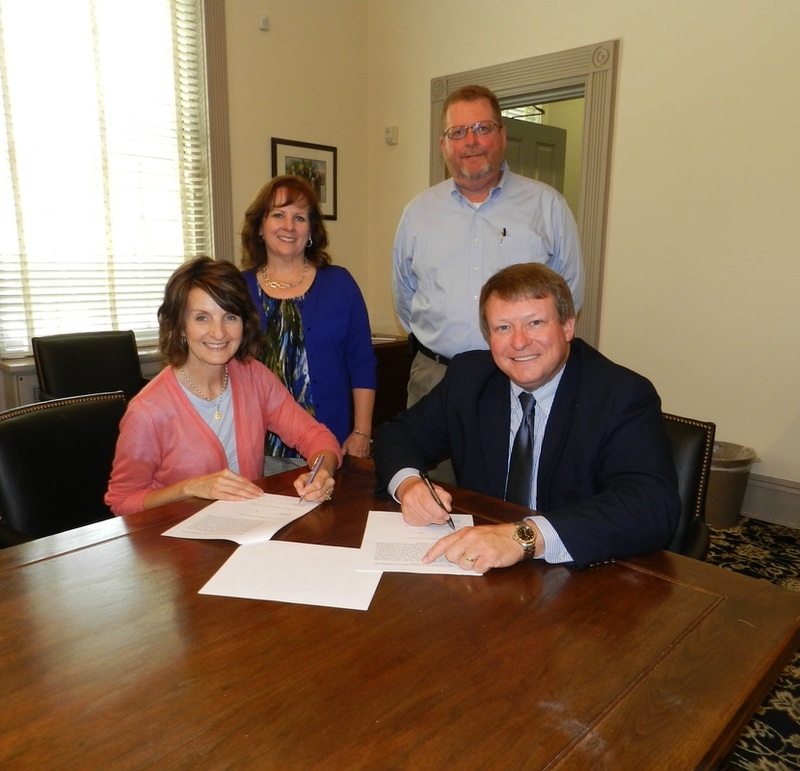 The two agencies strengthened their commitment to work together with the signing of a Memorandum of Understanding.